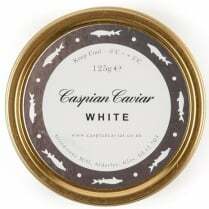 Please note that this caviar is not white in colour! See picture for actual appearance. It is called White as it is produced from White Sturgeon. We have been working with the producers of this caviar for the last 5 years. They are lovely people who farm in a lovely place, and it is always a pleasure to go and visit. 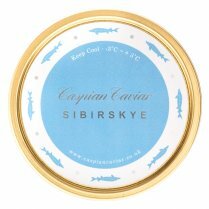 When we were there last Autumn, we tasted some caviar which was the test batch. It was really remarkably good. We were able to obtain a small supply for Christmas and again at Easter. It was listed as Privilege Caviar. 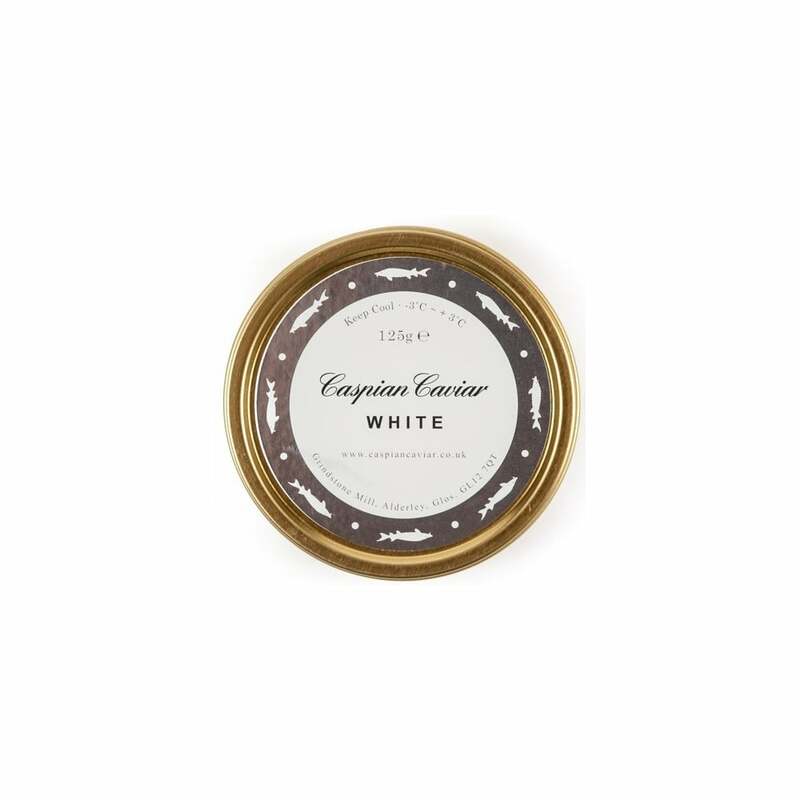 The customer feedback was so positive that we are now able to list it permanently in our range as Caspian Caviar White. We called it White as it comes from Transmontanus Sturgeon, more commonly known as White Sturgeon. However, supplies are very limited, so do buy it when you can as it will not always be in stock. "White is a colour, it says on the tin. 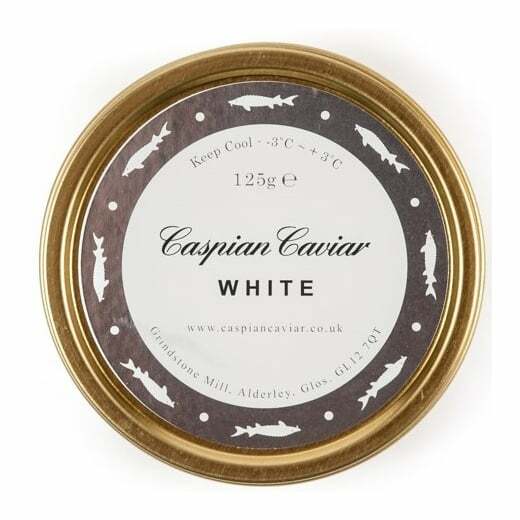 At naming caviar, that Angus is not very good." 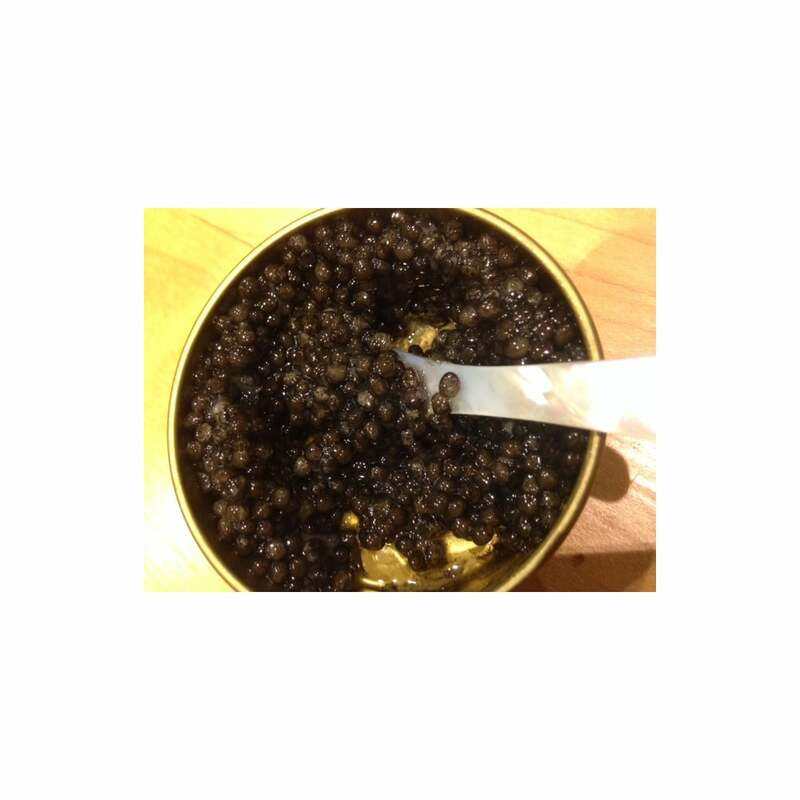 This caviar is harvested from a small batch of Transmontanus (White) sturgeon farmed in northern Italy. I am not normally very polite about caviar from this species as it tends to be rather tasteless and often bitter. This caviar is neither. The eggs are of medium size and are very black in colour. The egg definition is excellent, both on the eye and in the mouth. It has a good flavour, which does linger on the palate, with no trace of bitterness. 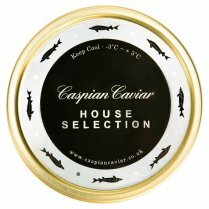 A remarkably good caviar for this remarkable price.